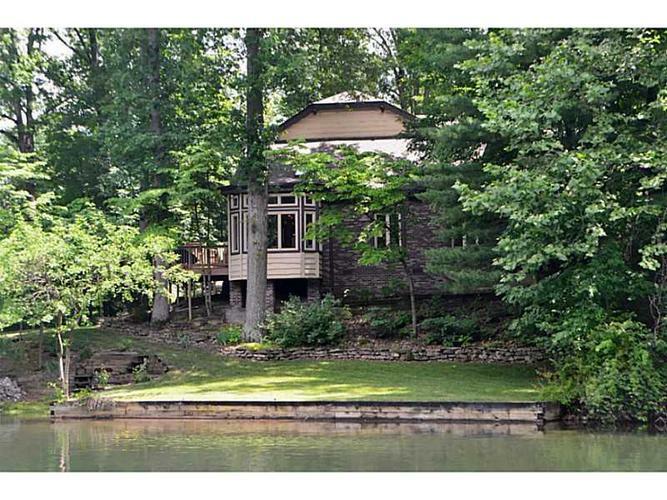 Surrounded by water, this lake front property will not be topped! Gorgeous floor to ceiling windows in the sun room! Enjoy boating, kayaking, fishing or relaxing on the water. Huge eat in kitchen ideal for entertaining , breakfast bar & stunning views. Two story great room with brick fireplace, amazing laundry/craft rm, huge bedrooms & an office to make working from home easy. Walk out bsmt, three seasons room and balconies galore! Panoramic views from every window. Walk-in attic for storage. Directions:SR37 SOUTH TO OLD SR 37 SOUTH (Marathon Station). Go W on Old SR 37 to Mapleturn Rd. Turn right. Follow to Windsor Place. Turn right. Follow to Windsor Ct and turn left. Follow to home.